At just 8 years old, Victoria Leandra Hernández, 21, started reading newspapers with her father as a hobby in her hometown, Toa Alta, P.R. “I fell in love with news and what was going on outside Puerto Rico,” Victoria said. Victoria works full-time as a social producer and news curator for Bloomberg. She did so while studying full-time at Manhattan College, where she recently graduated with a degree in journalism and a digital media minor. She has held internships at Vice and NY1 Noticias, and eventually wants to become a national correspondent. She said she hoped to shed light on stories in Latin America. Victoria believes she was born to be a reporter. She feels a large sense of pride to be a Latina covering the Latin community. “For me it is a form of giving back to my people,” she said. 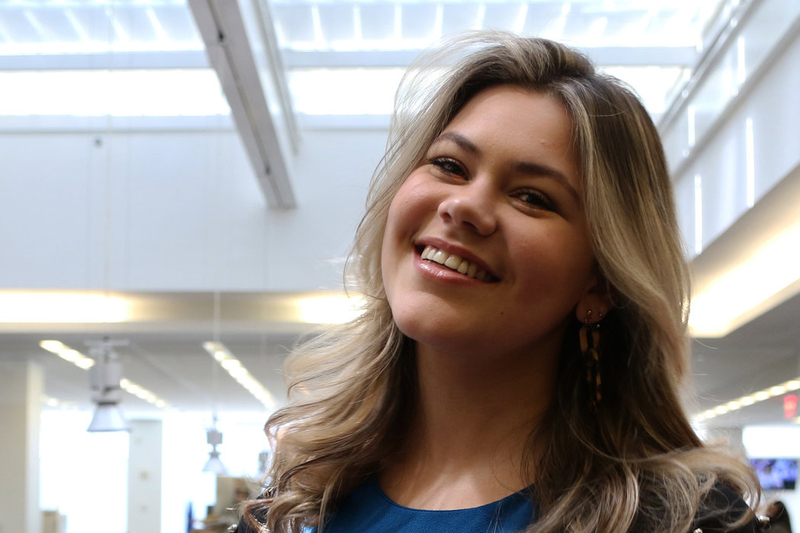 Now, as a participant in The New York Times Student Journalism Institute, Victoria wants to learn all she can from its mentors and its participants. “I am ready to work hard,” she said. You can follow Victoria as she posts about her adventures as an aspiring journalist, her Latin culture and her travels on her Instagram account, @victorialeandra.